Steve Dash has passed away. He was 74-years old. The actor was best-known for playing the adult version of Jason Voorhees, aka "Sackhead Jason," in Friday the 13th Part 2. Dash portrayed the iconic character while wearing the sack, while Warrington Gillette portrayed Jason without the mask in the sequel. Dash died yesterday (December 18th) from complications due to diabetes and had been vocal about his condition to fans over the years. The actor was a regular on the horror convention circuit. In a recent social media post, Steve Dash revealed that doctors were going to have to amputate his leg, but he was in good spirits. Dash was known for being entertaining and lively during appearances, and was always happy to meet horror fans. Friday the 13th Part 2 is a fan-favorite and the actor was proud of his role in the movie. He had this to say about his condition in a recent post before passing away. "I have an update on my condition. They're amputating my left leg tomorrow afternoon. It's been pretty tough suffering from diabetes, blood clots and a bad heart over the last year. I welcome the decision I've made because I will be able to play golf in 6-8 weeks with a brand new leg. Thank you all for your thoughts, prayers and personal messages to me. The fans are the best fans on the planet." Steve Dash was born Steve Daskewisz and was originally a police officer before becoming an actor, but he got his start in comedy when he was a child. When he met his wife, he decided that he would become a police officer to settle down. However, he was later let go from his position and put on disability after an accident left him with a fractured skull and amnesia. During his time in law enforcement, someone in the entertainment industry recommended that he have some headshots taken and he then started acting in plays. After getting into the Screen Actors Guild, Steve Dash was approached by stunt coordinator Cliff Cudney while working on Sylvester Stallone's Nighthawks. Cudney asked if Dash would be into working as a stuntman, but Dash initially refused because he wanted to do traditional acting. Dash and Cudney ended up becoming friends and the actor started doing stunt work. When Friday the 13th Part 2 came out, Jason Voorhees was credited to Warrington Gillette, but Dash did nearly every scene where the character has a sack on his head. 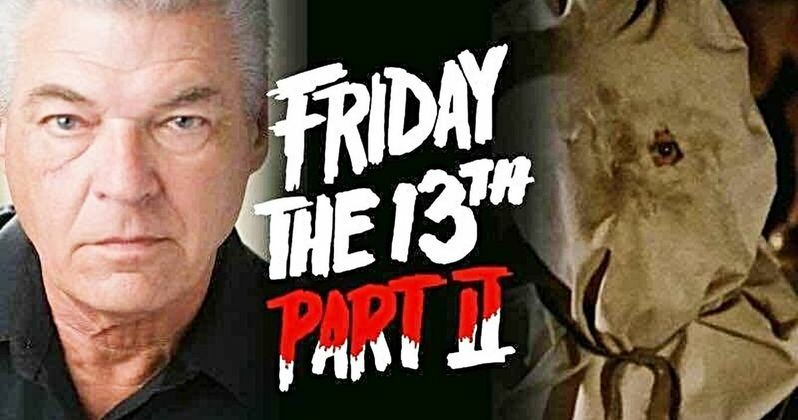 Steve Dash said that working on Nighthawks was one of his favorite projects, but he loved working on Friday the 13th Part 2 because they had a lot of laughs on the set. As for how he got involved in the sequel, Dash says that Cliff Cudney hit him up after two weeks of filming because Warrington Gillette could not perform the stunt work. Dash agreed and the rest is history. Dash went through a lot on the set and ended up with some stitches, burns, and a few trips to the hospital. Fangoria was the first to announce the new of Steve Dash's death. Rest In Peace, Steve Dash.